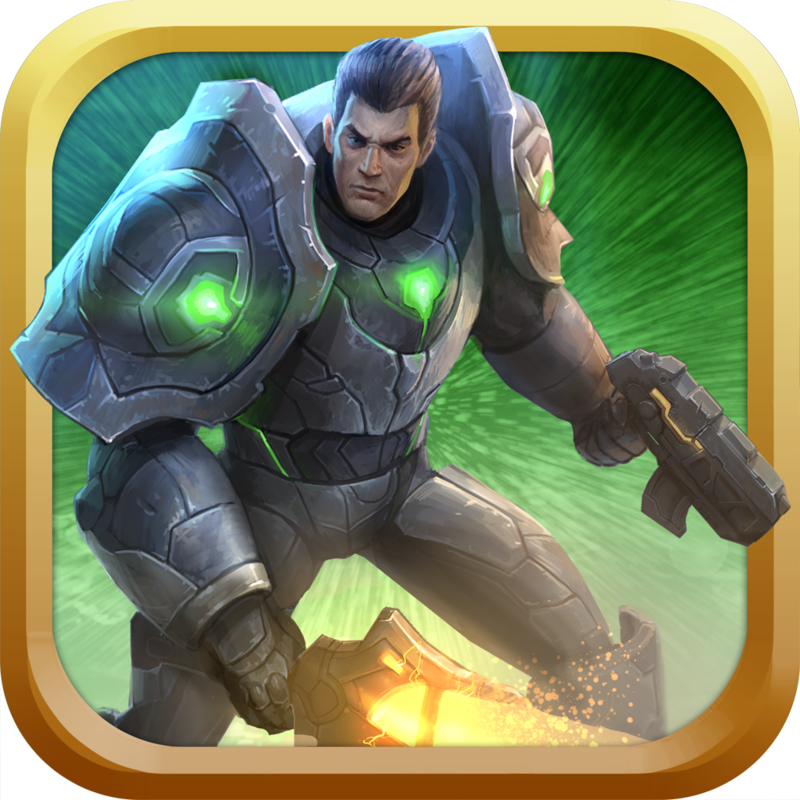 Echo Prime ($4.99) by Robot Entertainment is an action-packed adventure game that takes place in the far reaches of the galaxy. 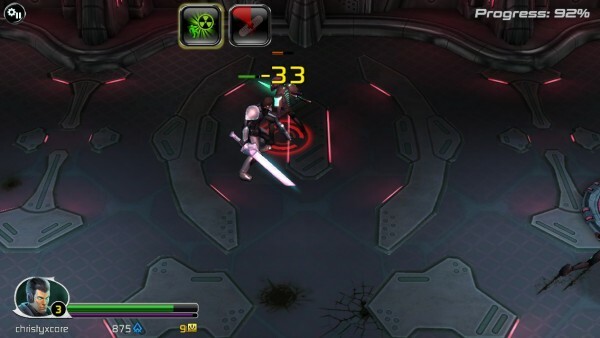 If you’re in the mood for a fun hack-n-slash game, then this is right up your alley. The visuals in Echo Prime are top-notch, and they are definitely what drew me into this title when I was browsing the App Store. The game is filled with vivid and lush environments that will range from inside spaceship corridors to more open areas filled with hazards. The character model animations are smooth, fluid, and have absolutely no lag on my iPhone 5s. The game also features realistic sound effects (as far as lasers and stuff go, really) and a fast-paced soundtrack to get your blood pumping while you fight aliens, killer mercenaries, and dreaded space pirates. In Echo Prime, you have an entire world open to you, with randomly generated levels so that each experience is different. 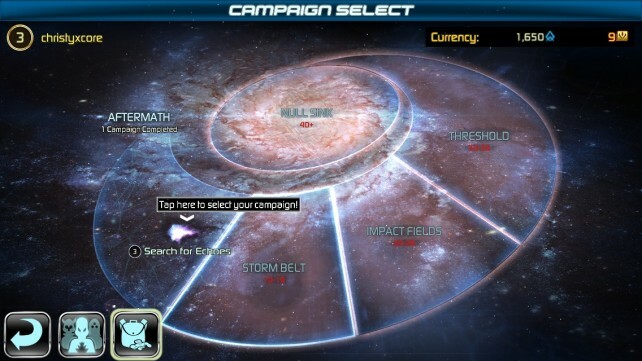 The campaign mode will feature several different areas of the galaxy for you to explore, though you will need to clear out the previous sector before you can advance. Each sector consists of a variety of levels and waves of enemies for you to get through, which are all randomly generated, so you won’t ever have the same run twice. I rather love the level randomization, because it means that you will always have a brand new, fresh experience, even if you have to go back and replay an area. The controls are pretty easy in the game. To move, just tap on the screen where you want to move in. Your character comes equipped with both a gun and a sword, so you are able to do both ranged and melee attacks. If you tap on an enemy from far away, you will shoot it; if you are nearby an enemy and tap it, you will be slashing away at it with your sword. You can also swipe to do powerful lunging attacks, string together combos, and even block enemy hits at the right time. Personally, I think the controls could have been better. I find it tedious that I have to tap a spot to move in, rather than having a virtual joystick so I can freely move around without obstructing my own view. Plus, I would imagine that this would feel more intuitive and fluid as well. I hope that the developers can consider adding an optional control scheme in the future. 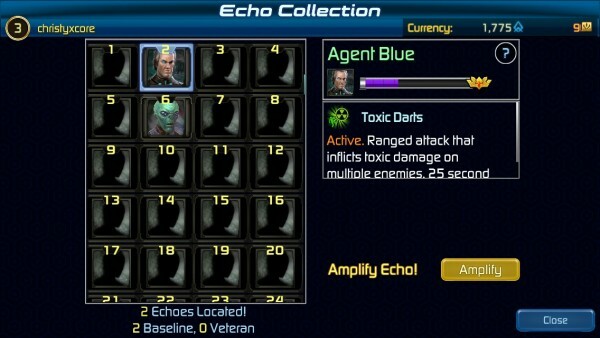 As you go on your journey saving the human race from deadly aliens, you are able to get unique abilities through mysterious beings from the universe, which are called Echoes. These Echoes will grant you either passive abilities to boost your strength, or give you powerful new skills to aid you in battle, such as poison darts. 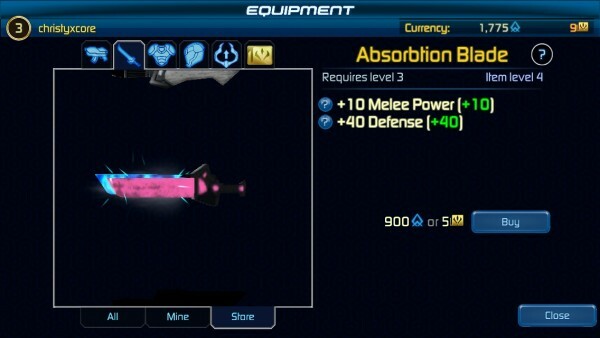 These powers can be used by tapping on the button, though they will need to recharge once used. 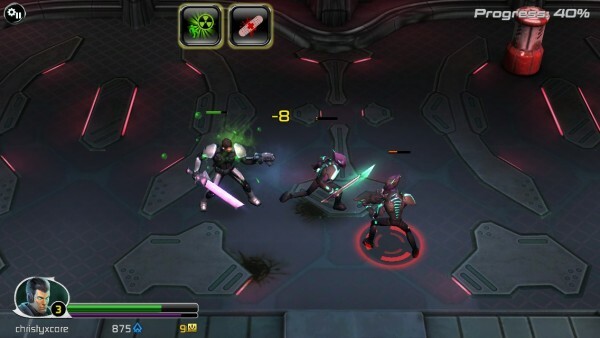 As you go through the various waves of enemies, you will clear the chamber and gain experience points to level up. 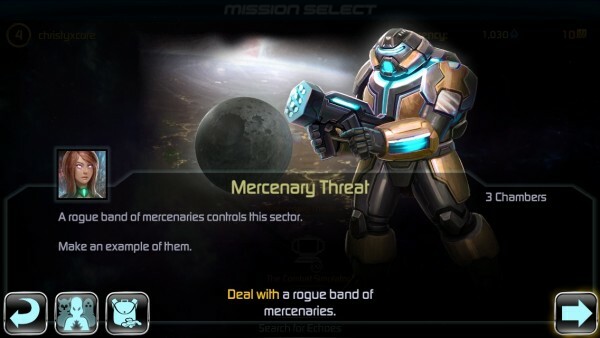 Enemies and barrels that you shoot can also drop health packs or bonus credits, which can be used to purchase weapon and armor upgrades in the shop. The better your gear, the more adept you are to survive. There is also full Game Center integration for leaderboards and achievements. The three leaderboards will be based on your total kills, player level, and total echoes collected. 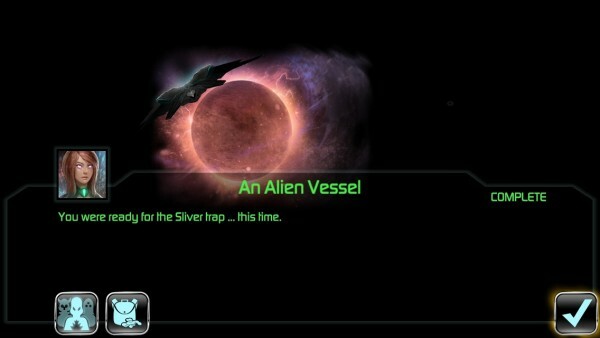 There are eight achievements to obtain as well, which can be quite challenging, so there is plenty of replay value. 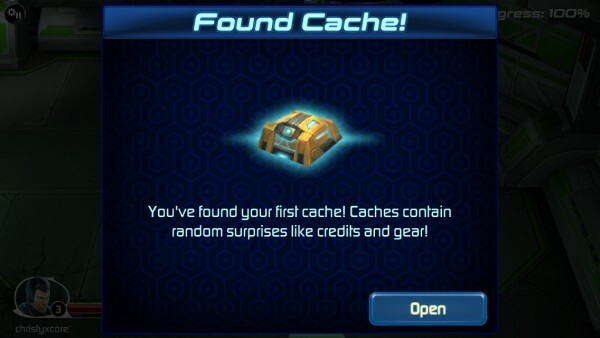 The game also comes with support for iCloud game save data so your progress goes with you no matter what device you use. So far, even though I’m not that pleased with the controls, I have been enjoying Echo Prime. The graphics are stunning, animations are fluid, and the gameplay is fun and challenging, although it may get a bit repetitive over time (but this applies to most games). However, the randomly generated levels keep things fresh and new, which makes up for the flaws. 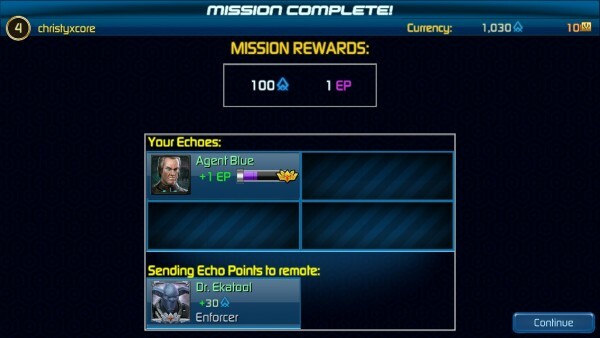 I recommend checking out Echo Prime if you’re in the mood for an out-of-this-world action adventure game. 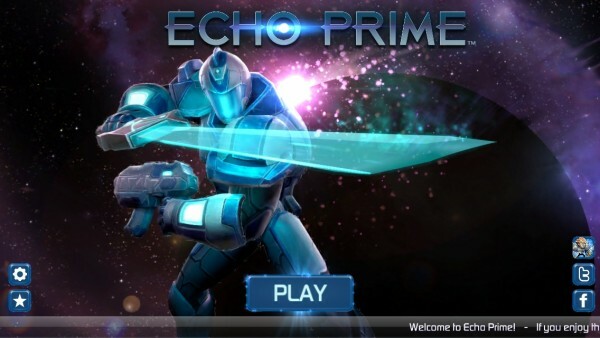 You can get Echo Prime in the App Store as a universal download for $4.99.